RED SONJA COVER BY ADAM HUGHES â€œIMMORTALIZEDâ€�! 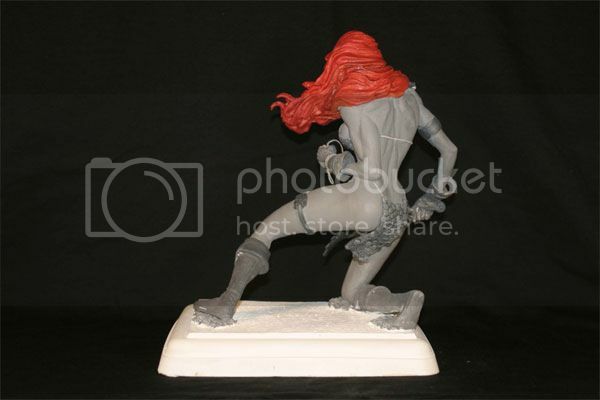 October 4, 2006, Runnemede, NJ â€“ Dynamite Entertainment released images and information today concerning the release of the Dynamite Select: Adam Hughes Red Sonja Statue (OCT063322). 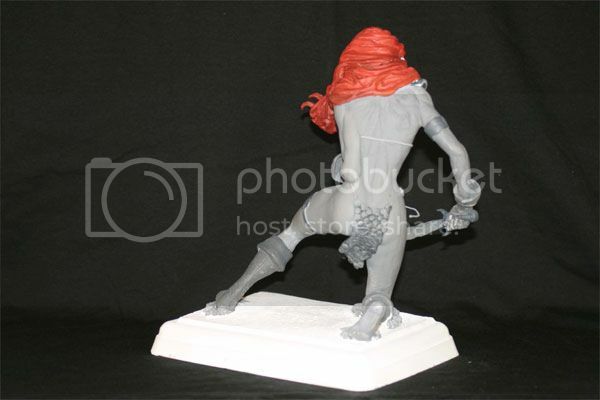 Based on the cover of the EXTREMELY RARE RRP edition of Red Sonja #2 by Adam Hughes, this 9â€� tall rendition of the She-Devil with a sword was beautifully sculpted by Shawn Nagle, who has produced pieces for Marvel, Toybiz, Diamond and Neca. Inspired by the art of Adam Hughes from the RARE RRP cover to Red Sonja #2 by Mister Hughes! The Adams Hughes RRP incentive cover from RED SONJA #2 comes to life in this debut status from DYNAMITE SELECT! 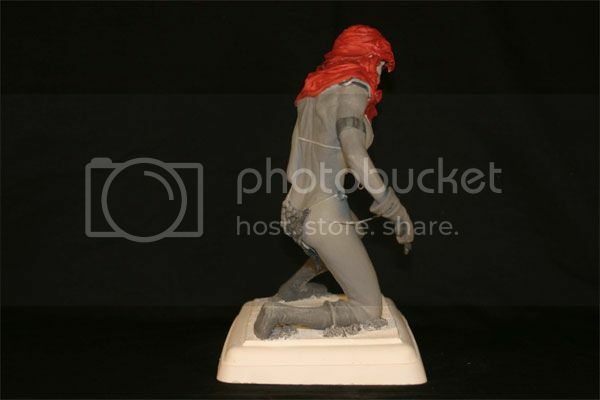 Featured in stunning White, Gray and Red (of course) just as seen on the original cover, this piece stands 9" tall, is 8" wide and 5" deep! 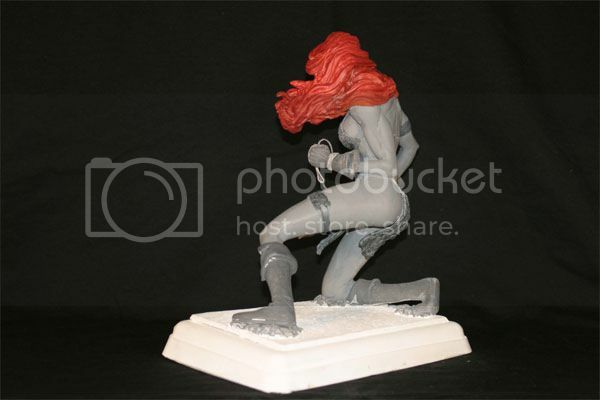 Sculpted and painted by Shawn Nagle, every curve and detail of Hughes' vision of the She-Devil with a Sword is captured here! Strictly limited, order yours today! DYNAMITE ENTERTAINMENT was founded in 2004 and is home to several best-selling titles and properties. Beginning with their Army of Darkness comic book series â€“ launching as the #1 independent comic in July of '04 â€“ and recently ranked the #1 selling Independent Horror comic -- and continuing to their best-selling Red Sonja series â€“ issue #0 alone selling over 240,000 copies and ongoing issues and one-shots recently ranked among the best-selling titles in unit sales and dollar volume â€“ and not only has Dynamite consistently released Red Sonja as THE top selling single comic outside of Marvel and DC Comics, Dynamite successfully places more titles in the Top 100 than most non-Marvel, non-DC publishers. Dynamite's new monthly Battlestar Galactica series is the company's first major launch of '06, debuting with an impressive 175,000 copies in initial orders sold for the introductory #0 issue. Dynamiteâ€™s ongoing Highlander comic book series launched to excess of 100,000 copies sold for issue #0. The recently released The Lone Ranger #1 sold out on its first day in comic shops and is scheduled for a second print. Hmm, kinda cool but not the best. Needs a little more color IMO. and the $$$ scares the crap out of me! If I bought one of those I'd be way to tempted to paint it. I'm pretty good at painting models, but even if I did an A+ job it would destroy the value of it. Last edited by Slave; 10-08-2006, 02:15 PM.